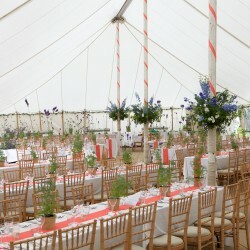 We understand that every event is unique, and as such the choice of tables and chairs will go a long way to creating a different ‘feel’ in every marquee we do. 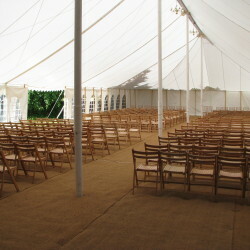 Consequently our furniture hire range covers all tastes and budgets. 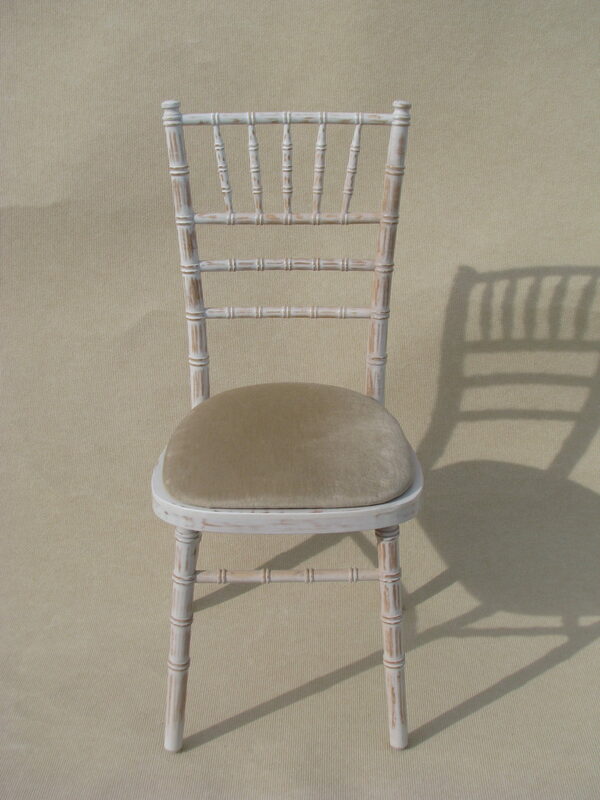 We hold a wide stock of more formal ‘chiavari’ style banquet chairs which should cover most potential tastes. 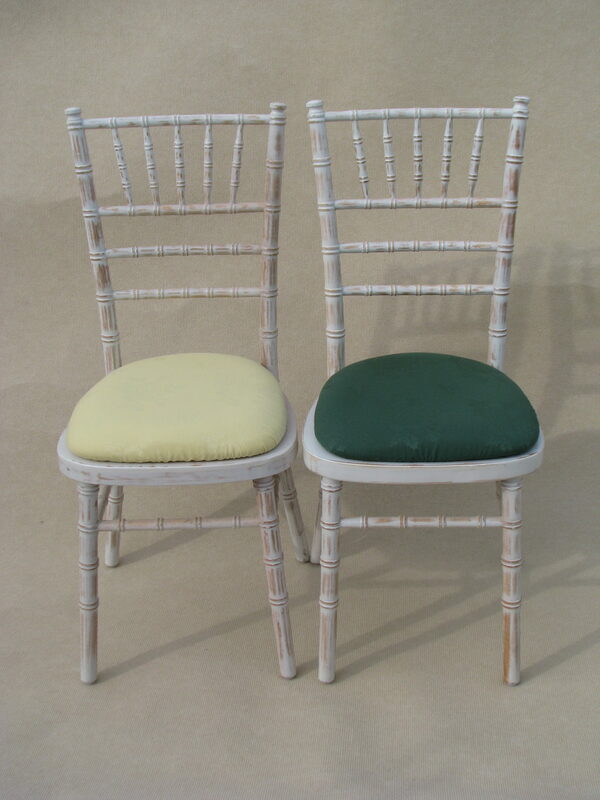 The chairs themselves come in lime wash with seat pads available in ivory, black, navy blue, yellow and green. 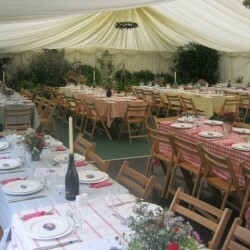 Our range of tables covers hopefully all eventualities. 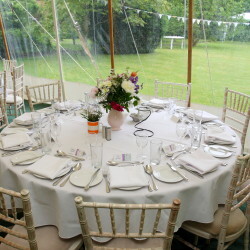 For formal dining we offer round tables in varying diameters to seat between four people (3’), six people (4’), eight people (5’), ten people (5’6”) or twelve people (6’). 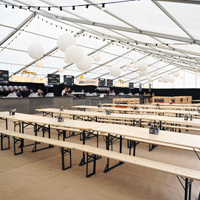 We have a range of 6′ trestle tables – 3′ wide ones are ideal for ‘banquet’ style dining or top tables where extra space is required down the middle of the table. 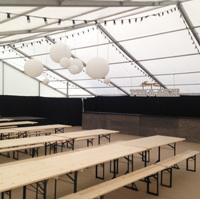 2’6″ wide are commonly used by caterers for buffets, bars and food preparation areas. 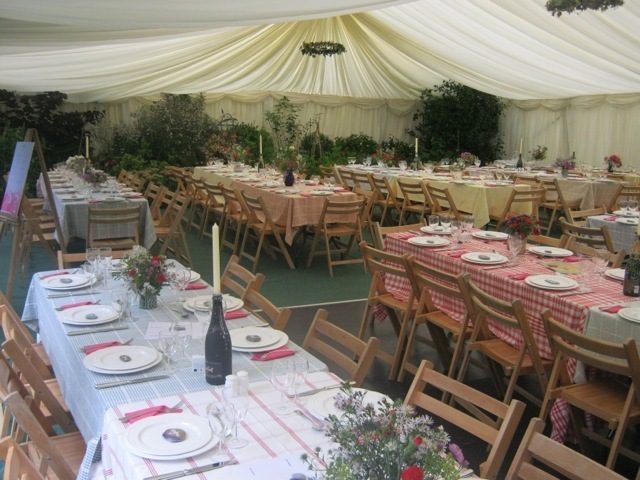 We also have rustic 6′ x 3′ trestle tables which look great without a tablecloth. 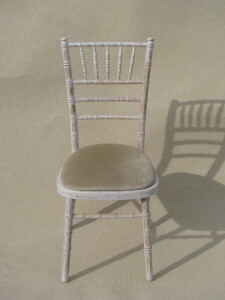 In addition we supply 3’ round tables for wedding cakes. 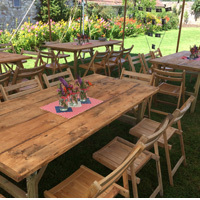 For a more informal look we can also offer wooden tables (that don’t need a tablecloth) with matching benches. 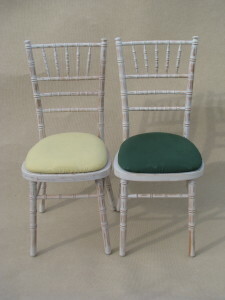 They seat four on each side. 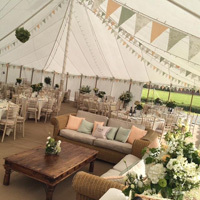 In response to demand, we now offer a less formal type of seating – wicker sofas with green or beige cushions (these seat up to 4 people). 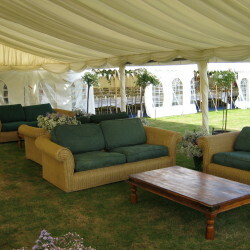 The sofas work well with low Indian style wooden tables. 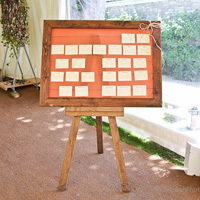 We also provide solid oak table plan easels and coat rails with hangers. 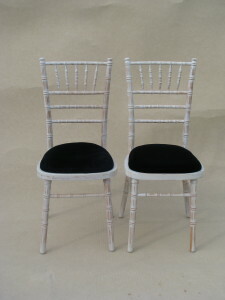 Finally we offer two wedding ‘hat solutions’. 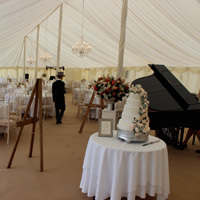 A free standing hatstand or wire ‘hat hooks’ that hang around the perimeter of the marquee. 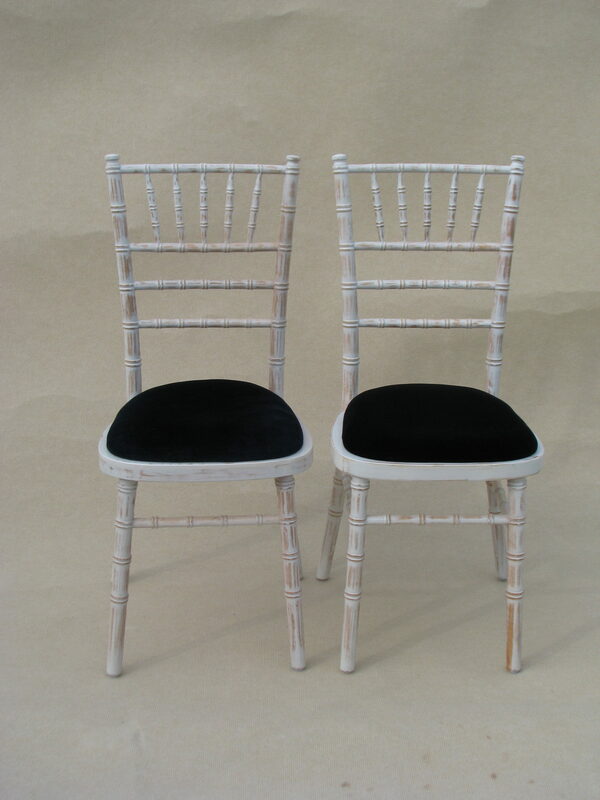 Beyond all the above we will always try to source any other particular items of furniture that our clients may want.